As I said, I have been on a wine/Riesling trip to Germany. Together with my mom, who was amazing help as always! First, we visited the Mosel for 3 days and afterward we went to the Rheingau. The first winery we visited! a small explanation of the region. 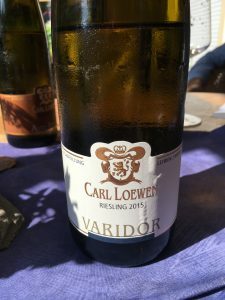 The winery is found in Leiwen on the Mosel a little beyond Trier. 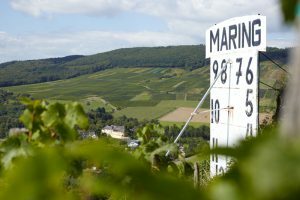 The most famous vineyards around there are with no doubt the Ritch, Maximin Herrenberg, Maximin Klosterlay and Laurentiuslay. 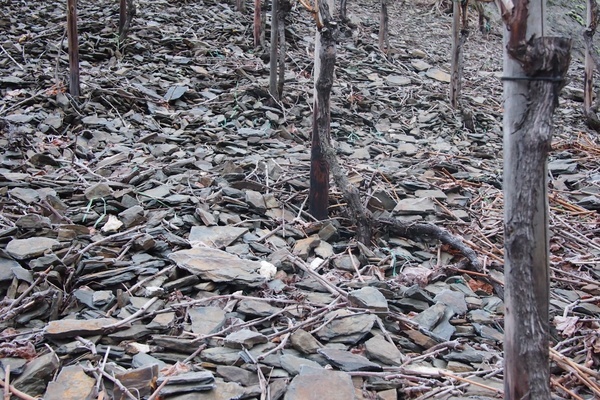 A lot of slate in the vineyards, gray and red. 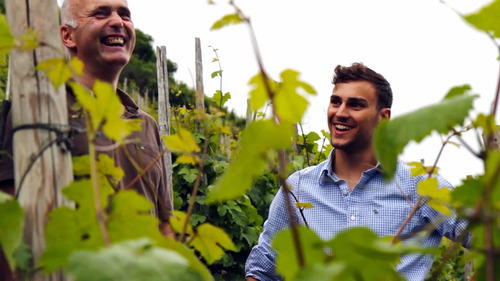 The first thing Christopher said almost immediately is that “Riesling is made in the vineyard”. 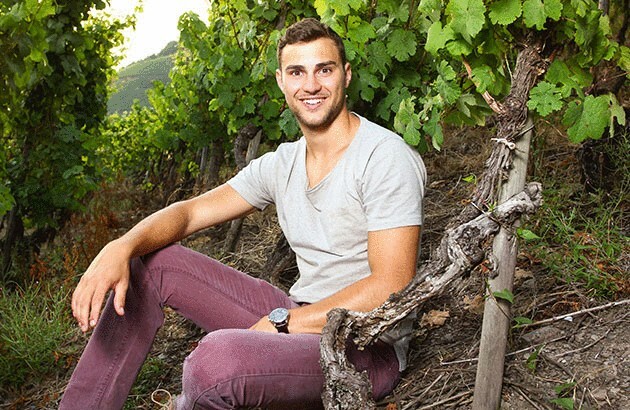 So, the only thing he does after the grapes are picked is: press the grapes, put the most in tanks and let it ferment. They do not add yeast strains and there is no temperature control. They too have some Pinot Blanc planted. This has become the second most important grape variety at the Mosel. 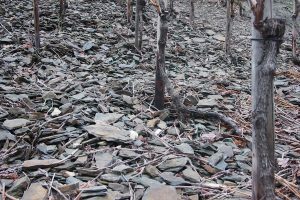 Because also Pinot Blanc (Weissburgunder) reflects the soil in a great way in the glass. At Carl Loewen they use an Alsace clone Pinot Blanc. So they can create a little depth in the wine and it can handle some oak maturation. 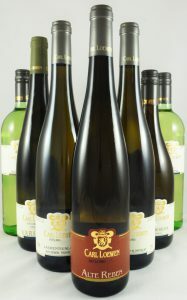 The Pinot Blanc is not made in a typical style from the Mosel. A slight residual sugar, very fruity and let’s face it made as Riesling?! They don’t do that here. They give the wine a maceration, before pressing and the wine stay’s 12 month’s on the lees. The Pinot Blanc is a very nice everyday drinking wine! With white fruits, rather high acidity, very buttery and a touch of oak. Besides, it’s very light in alcohol. 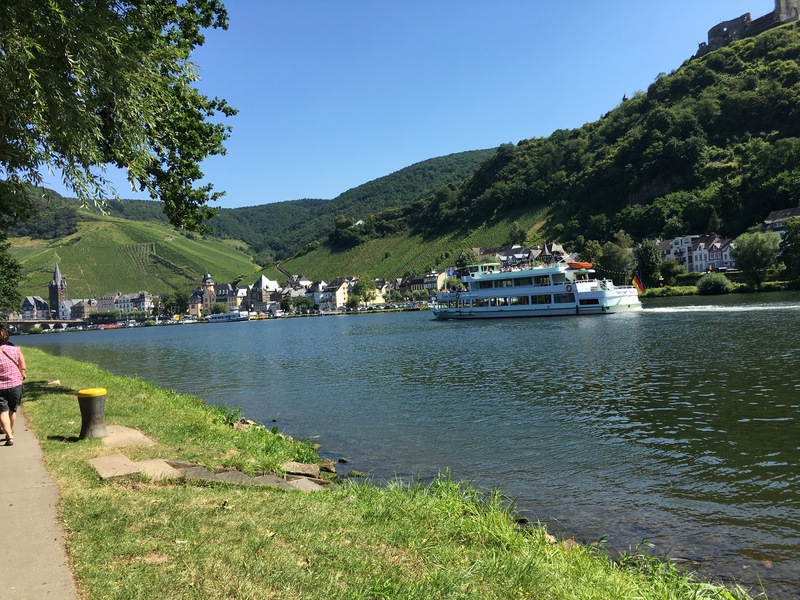 This is what Mosel is typically recognized for. 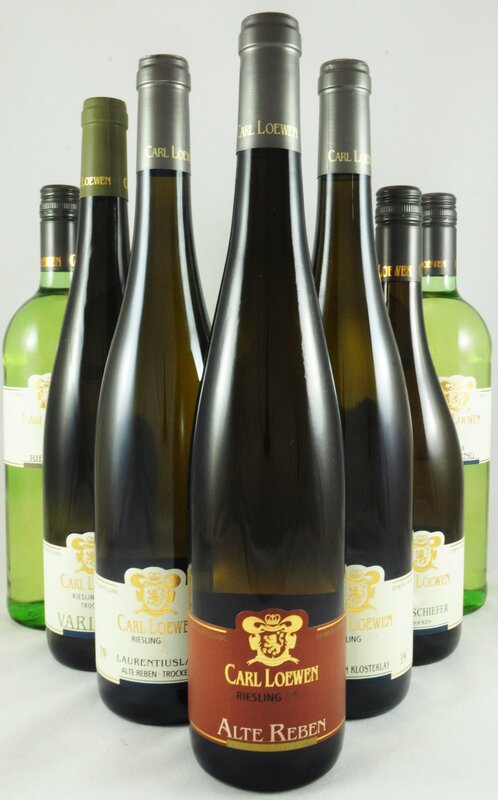 He’s Rieslings are all quite different, this is because of there is no intervention during fermentation. Overall they are all very mineral reflecting the soil and some more fruity than other ones. For the Riesling vines he uses or very old vines, or he uses a clone that produces very tiny concentrated berries even if it’s a young vine. The Quant Riesling: this is a blend of different vineyards. And Quant in the local dialect stands for Good! It’s quite mouth filling for a Riesling, it has some residual sugar but also has a lot of acidity to counter the sweet touch. 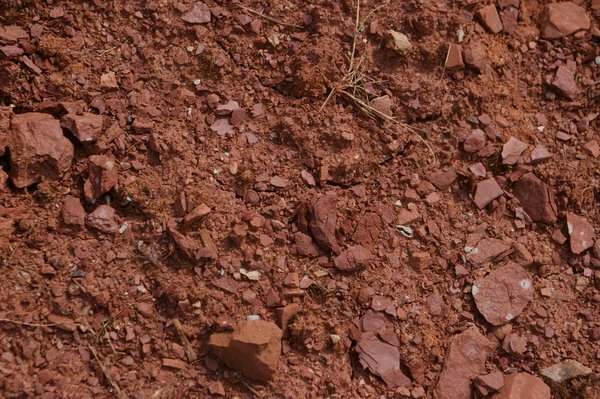 There is some minerality and fruitiness like apricots and peaches. The finish is medium to long and refreshingly clean. Vari means variety and Dor means gold. also with a lot acidity. It’s a very refreshing wine with a long finish! I could go on about the wines, but that can be quite boring to read. So, this for the RIESsearchING at Carl Loewen. Enjoy a nice glass of Riesling and I see you the next RIESsearchING! You picked a good producer to visit. Looking forward to your next RIESsearchING post.